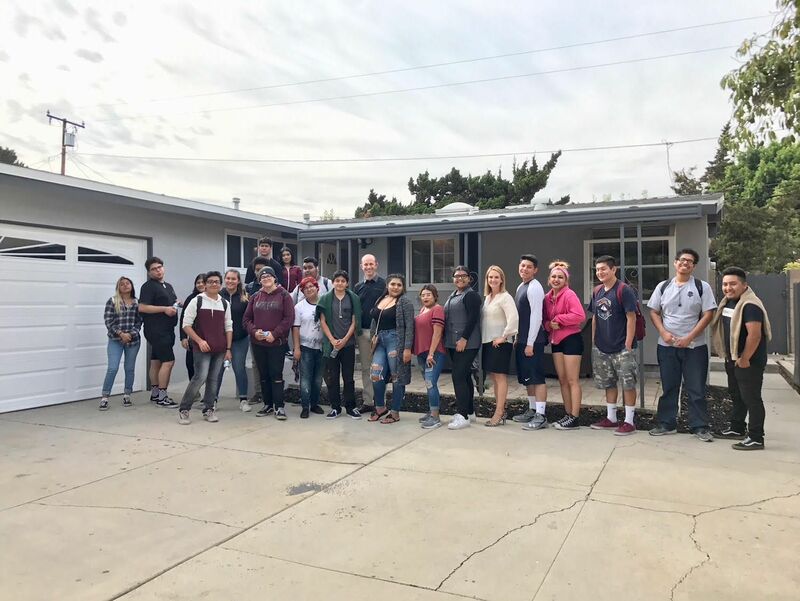 This past week I was able to volunteer and work with a group of High School students from Circulos High School, in the Santa Ana Unified School District. They are part of a program through 'XQ America'. Led by Laurene Powell Jobs, the widow of Apple co-founder Steve Jobs and president of the Emerson Collective, the XQ Super School Project aims to create schools that are focused on the needs of students. Circulos is 1 of 18 schools in the nation working to help better prepare students for college, career and life. The schools are a mix of charter and district schools, most of them new, but some of them traditional schools in the process of being reimagined — serve student populations that are predominantly low-income and/or of color. Many of the students I met with have never been outside of Santa Ana. The idea to meet with a Realtor came up when their teacher was asked by one of the students what is the difference between renting and owning. Through XQ, they are able to meet others in the work force outside of their area and 'imagine' what their future careers would be. I met with them, alongside with a mortgage broker. We talked for over an hour about how to establish good credit at a young age, save money for purchasing a home one day and what it takes to be in the Real Estate industry. It was a great experience and I look forward to being involved more in the future. Have a great Thanksgiving and as always, let me know if you have any questions you need answered about Real Estate.